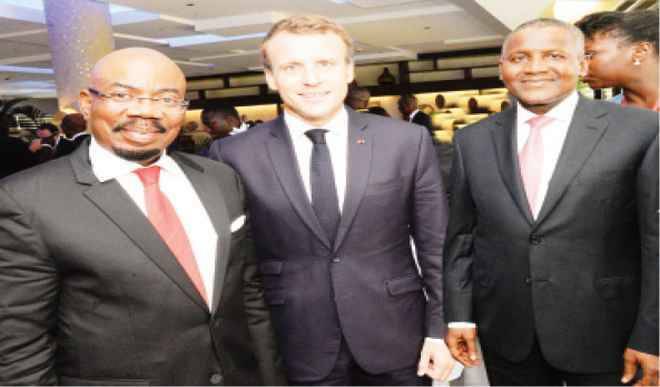 The President of France, Mr. Emmanuel Macron, has announced a total of 1 billion euro investment fund for private sector players in Africa, to enable them scale up their business enterprises. The fund would anchor an initiative to gather African and Europeans titles and business players to build a business platform, to develop, leverage and accelerate the private sector. President Macron shared this as the special guest at an interactive business forum hosted by the Tony Elumelu Foundation in Lagos. “We will participate with you to strengthen and to frame the financial ecosystem of West Africa. He also challenged young African entrepreneurs from the Tony Elumelu Entrepreneurs, reminding them that “If you believe in your projects: just do it right now”. Yes indeed: remember the Fedex founder piece. “Nobody should decide your future; you must arise and take responsibility for your continent. If Africa does not succeed, Europe and America will not,” he said. I like this – it is time for the world to focus on building Africa from the private sector over giving money to governments. I am very confident that a solid financial structure would benefit Africa if the African businesses lead the relationships with Europe. The funds should be accessible to big and small companies plus startups in Africa. We want more funds going into markets than government houses. Contents and quotes from Daily Trust report on this.